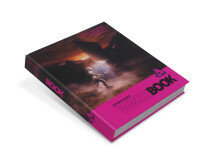 The offer means each Workbook is priced £22.99 / $29.99 / 26,99€ each (+ shipping and handling) exclusively from the Affinity store until Wednesday, 24 October. 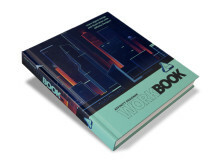 Presented in hardback, with more than 400 full colour pages, the Workbooks are bursting with lavishly-illustrated instructions, guides and expert tips to help users get the most from the award-winning apps on Mac or Windows. 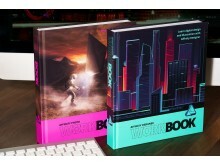 Ashley Hewson, Managing Director of Affinity developer Serif, says: “These books are the only official companions to Affinity Photo and Designer that you can buy. 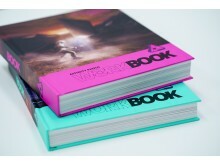 Both books contain an exciting range of easy to follow projects, contributed by photographers and designers from around the world. Each project is supported by free downloadable resources such as the original source files, project snapshots for reference and final project files, allowing users to follow along and recreate the work. A hands-on Core Skills section allows users to familiarise themselves with the essential techniques the pros use. There’s also a guide to the user interface of the desktop apps, including panels and toolbars. As an added bonus, there is a selection of removable keyboard shortcut ‘cheat sheets’ on sturdy card for easy reference. 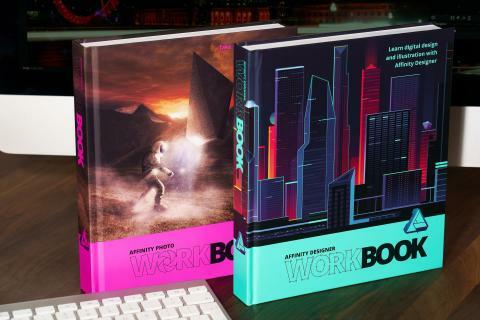 The Affinity Workbooks are available for review. Limited copies are available for competition prizes on request. 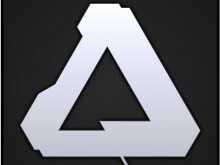 Affinity Designer, winner of an Apple Design Award in 2015, Affinity Photo, named Best Imaging Software by the Technical Image Press Association in 2016, and Affinity Publisher, currently in free public beta, were a result of the vision of the development team at Serif’s headquarters in Nottingham, UK. Created with the emphasis on speed, power, accuracy and lack of bloat, Affinity Designer and Affinity Photo received a stream of glowing reviews from Mac users around the world, before being launched for Windows and now iPad, where Affinity Photo is Apple's 2017 iPad App of the Year. Affinity Publisher is the third in the initial trio of apps envisaged by the development team.